RUSH: A reminder, folks, the EIB Store is brand-new — brand-new this week — and today is the last day for free shipping. All brand-new items, greatest quality, greatest prices. And it’s something we’re extremely proud of it. It happened by popular demand. People said, “You’ve gotta update stuff!” So we have. 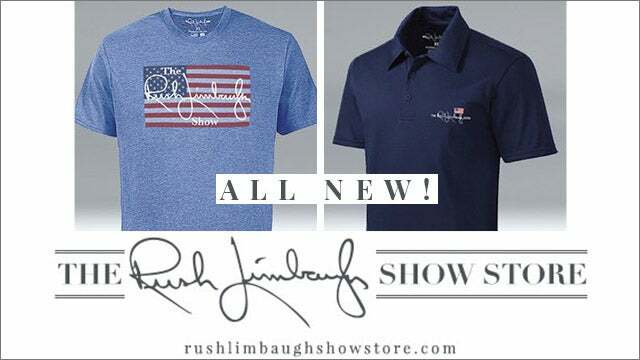 It’s at RushLimbaugh.com on the app or the Web and free shipping ends today.